The Maldivian Democratic Party (MDP) is the first and the largest political party in the Republic of Maldives. It is a party with its stated goal being the promotion of human rights and democracy in the Maldives. This party won the first ever multi-party elections in the Maldives with the support from all the other political parties in the 2008 elections against the former dictator Maumoon Abdul Gayoom. 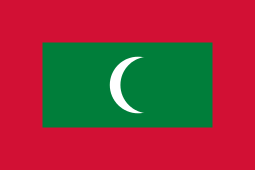 The Maldivian Democratic Party failed in the first two rounds of the 2008 presidential elections and called for a coalition for change against the then dictator. All the Political Parties joined the alliance of national unity and won the election. Maldivian Democratic Party has the largest number of members among all the political parties in the Maldives. There had not been political parties in the Maldives since 1952. The MDP initially submitted its registration on February 24, 2001. In 2001 MDPs first president was Mr. Gasim Ibrahim (Republican Party Leader.) Although the Maldivian Constitution allows political parties to operate, the MDP's application was rebuffed. After the people fighting for their rights on the street and the death of Evan Naseem, MDP declared its existence in exile from Sri Lanka on November 10, 2003. Initially, it was formed by a group of 42 people, which included members of parliament, a former cabinet minister and leading businessmen. Members on its first general council were elected on February 13, 2004. 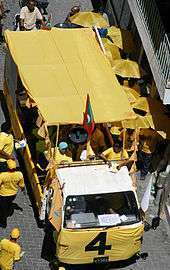 Although the MDP was not recognized by the Maldivian government, it began operating in Maldives on April 30, 2005. In June 2, 2005, the members of the People's Majlis unanimously voted to legally recognize political parties. The MDP subsequently submitted its registration on June 26, 2005 becoming the first political party to be registered in the Second Republic of Maldives. Throughout 2006, the opposition faced restrictions on freedom of assembly, and the government continued to arrest opposition activists. In March 2006, the government introduced a "Roadmap for Reform" and subsequently introduced several bills in parliament. In August 2007, voters decided via referendum that the Maldives' new constitution should provide for a presidential system of government (vice parliamentary). The special Majlis completed its work and the new constitution took effect in August 2008. In accordance with the new constitution ratified by then-President Gayoom on August 7, 2008, the first round of presidential elections was held on October 10, 2008. As no candidate received 50% of the vote, a second round was held on October 29 between President Gayoom and Mohamed Nasheed. Nasheed won with 54% of the vote, however, Nasheed's regime lost power and he was allegedly forced to resign on February 7, 2012 following weeks of protests by the opposition, which had then been joined by a majority of military and police forces illegally. At the first multi-party parliamentary elections in Maldives, on May 9, 2009, the MDP won 34% of the seats which is 26 out of the 77 seats in the parliament becoming the party to win the second most number of seats. However, in case of number of votes, MDP gained the most number of votes with 35.3% of the votes (50,562 votes) which is a 10.39% increase from the first round of 2008 Presidential Elections when MDP was allied with other parties. From the elections DRP gained 27.5% of the votes (39,399 votes) which is a 12.5% decrease from the first round of 2008 Presidential Elections. ↑ "Elections Commission". Elections.gov.mv. Retrieved 2012-05-07.